It was a case of missed opportunities for Barcelona tonight, and they certainly rued not making the most of their dominance early on after Valencia got a late equaliser against the run of play. It was a bright start from the visitors, and Luis Enrique’s side looked in confident mood. They were creating a huge number of chances, but were struggling to convert. 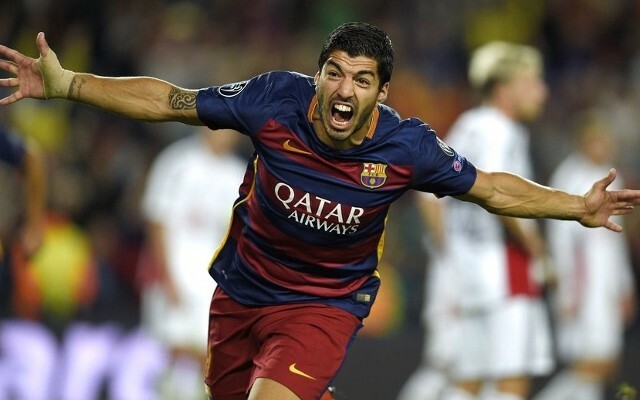 Neymar and Luis Suarez were running riot, and Valencia’s left-flank was repeatedly exposed. Neymar got the first real clear cut chance when he was played through on goal, with his excellent first touch leaving the defender in his dust. It looked for the world like he was going to convert, but he uncharacteristically blazed the ball over the bar. The Brazilian then looked to set up Lionel Messi, with some quick feet and a turn of pace seeing him race away from the Valencia right back. He cut the ball back to his Argentine teammate, but Messi could only redirect the ball straight at the keeper. Suarez then probably should have done better when he was away and clear down the right, with Neymar busting a gut to get into the box to support him. The Uruguayan’s cross was really poor though, and Neymar could only watch as it sailed over his head. Despite a huge number of opportunities we went into the break at nil nil, and you wondered at that point whether Barcelona would regret not taking their chances. It was more of the same in the second half though, and Barca continued to dominate – again not taking their chances. There was a contentious moment involving Suarez and Aymen Abdennour, with the Barcelona star appearing to intentionally stamp on the defenders foot. The officials didn’t see it though, and it was subtle enough that the former Liverpool man may get away without being punished retrospectively. The fact that Suarez wasn’t punished soon came back to haunt Valencia, as he gave Barcelona the lead with a fantastic finish. A quick one two saw him break free down the right, but the angle was made incredibly tight. The support wasn’t great in the box, so he opted to go alone, despite the finish looking impossible. He made it look easy though, beating the keeper at his near post. The shot-stopper arguably could have done better, but it was a fine finish. Barca had numerous chances to put the game to bed, but at times it seemed like they were toying with Valencia. There was visible frustration from the front three as the game wore on, which was probably magnified in the dying minutes when Valencia equalised. Fantastic hold up play from Paco Alcacer made the Barcelona defenders look average, and he was able to bring 19-year-old Santi Mina into play. The youngster took his shot first time, and what a shot it was. Claudio Bravo was beaten all ends up, and the Valencia players celebrated emphatically – as did new boss Gary Neville in the stands. Barcelona are still top of La Liga, but missed the chance to extend their lead. Valencia meanwhile are edging closer to the top four, with Gary Neville set to take charge against Eibar in his first game as manager.